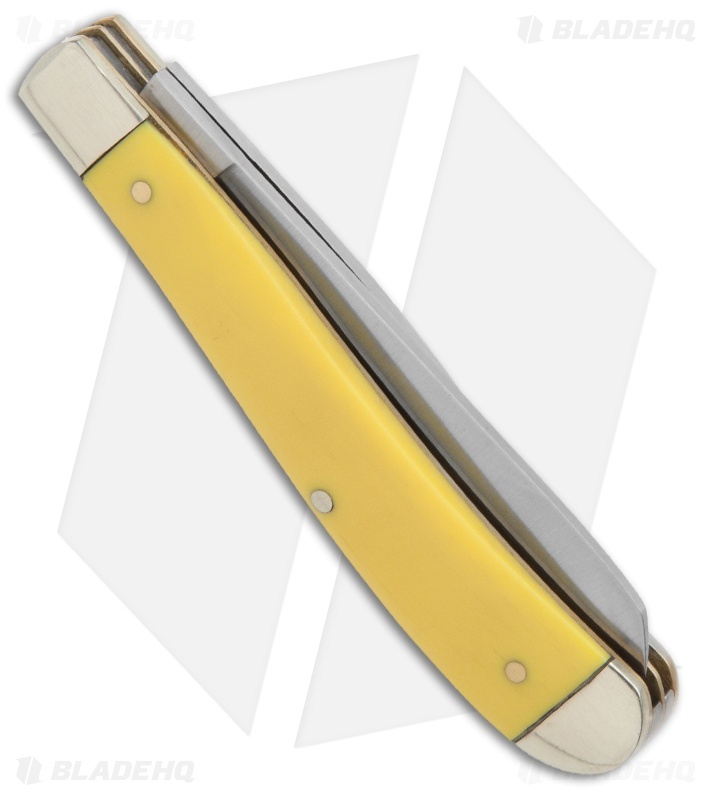 This two blade Gunstock Trapper is a classic pocket knife stands the test of time. 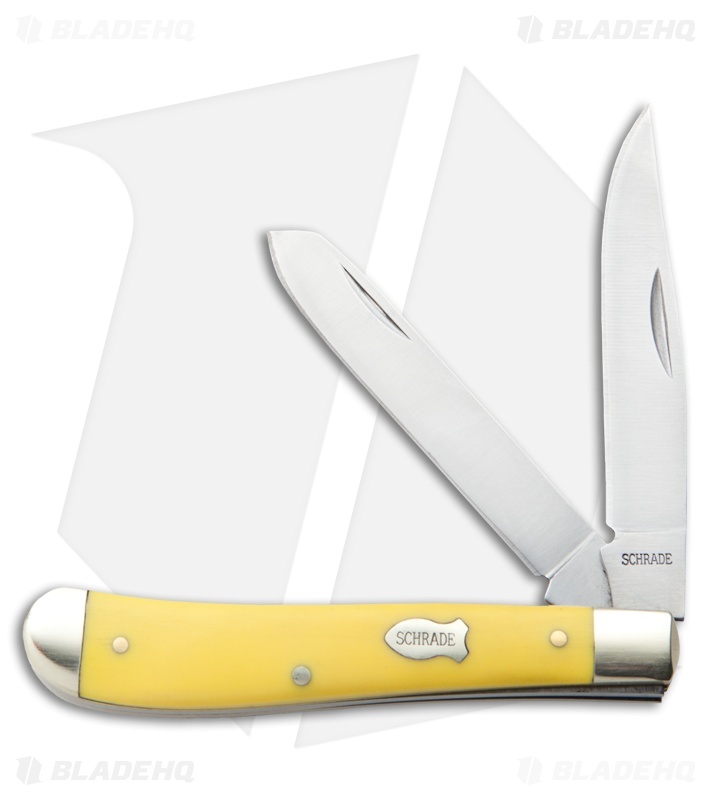 Made of 7Cr17 high carbon stainless steel, this knife comes with a clip point blade and a spey blade for versatility. 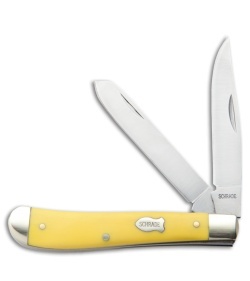 Each blade is 3.00" long, has a nail nick for opening, and closes with a firm but smooth action. Nickel silver bolsters and brass pins and liners ensure the durability of this knife, and the composite polymer handles give it a good feel in your hand along with a good look.